This is a leopard frog, which reminds her of growing up, when she spent time in Shawmere, near Lyndhurst, in Eastern Ontario, Canada. She nostalgically recollects her summers as a young girl, fishing and catching frogs. This floral tattoo depicts a bouquet with geraniums and the white edelweiss flowers. 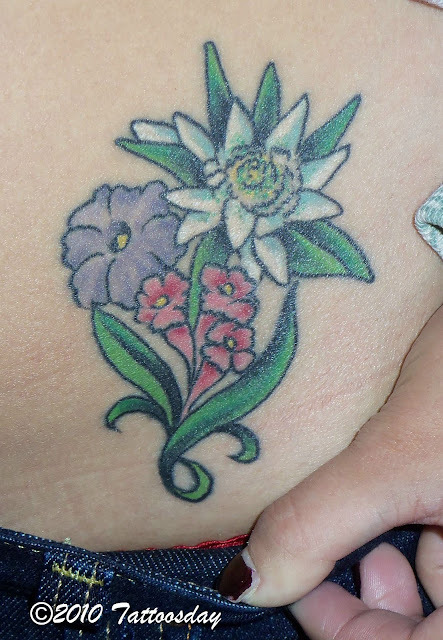 The edelweiss is the unofficial national flower of Switzerland and this tattoo commemorates not only the month she spent there as a visitor, but because she loves the Swiss culture and it is her favorite country. Both tattoos were done by Patrick Dean at Tattooville, in Neptune, New Jersey. Work from Tattooville has appeared previously on our site here. 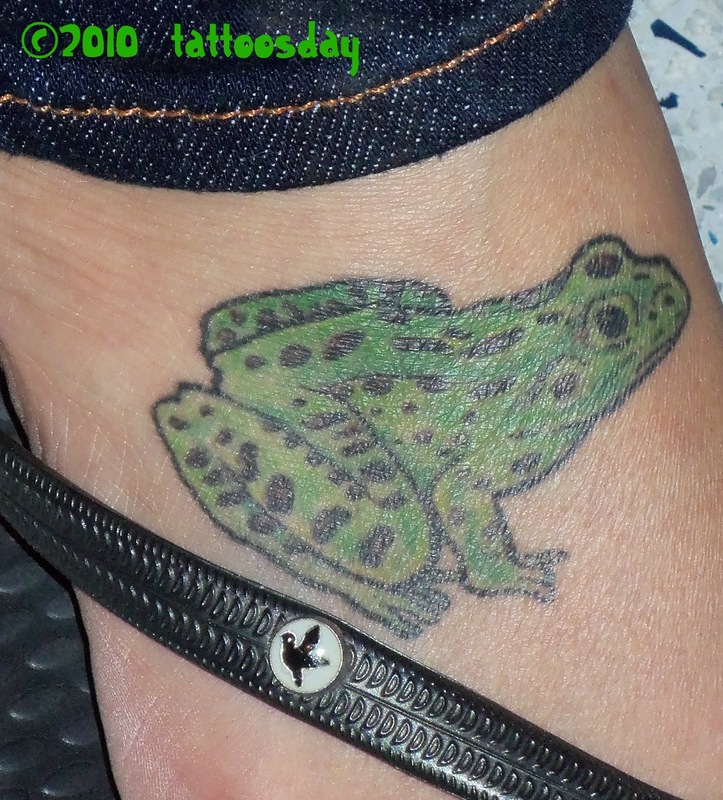 Thanks to Laura for sharing these two cool tattoos on Tattoosday!